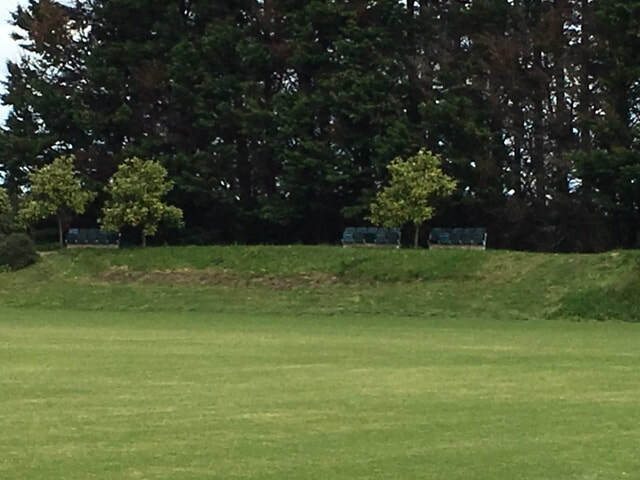 “There has been very good progress made on the new Cricket Pavilion at Kaipaki despite the weather. Half the roof is now on, the disabilities access is shaped with the top part being concreted and hand railing being installed. The window frames are all in place and the general shape of the upstairs level of the Pavilion is now clear. The next stage will be to finish the roof (weather permitting) and get the windows and electrical and plumbing work completed before closing in the walls. 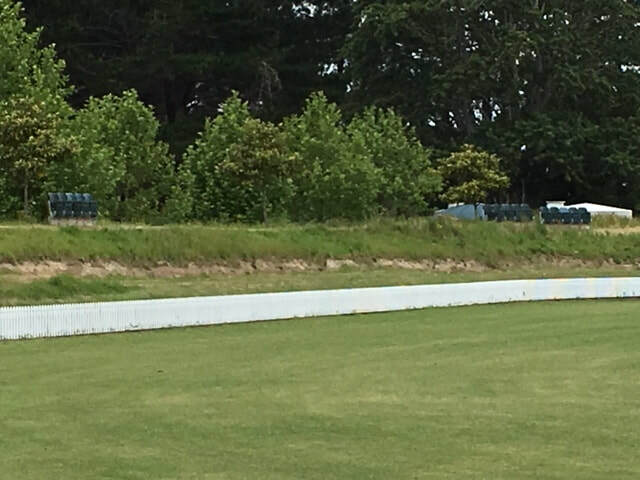 A huge thank you to all those who helped with a working bee 3 weeks ago where 70 plus sheets of roofing was painted - first two coats of three - and stored on the ground floor of the new Pavilion. 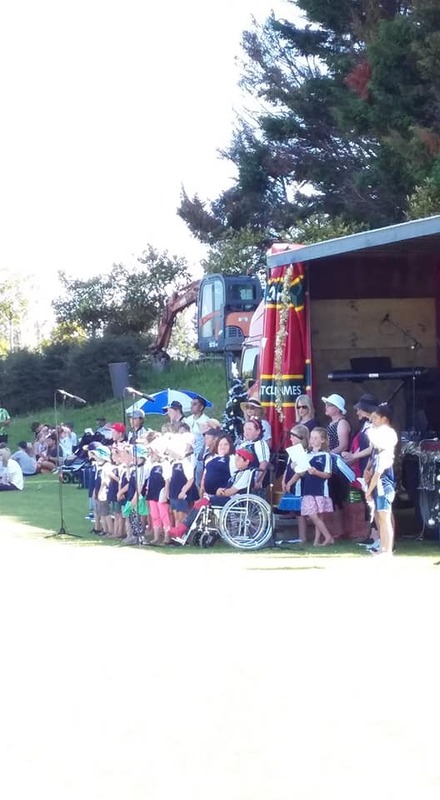 It was great how people helped from the Exercise class, the groups that use the courts for hockey, some people from the Yoga class, people who just use the facilities at Kaipaki and a few cricketers made up the volunteers. Many thanks to all who attended as these days are great fun and one gets to know more people involved at Kaipaki and understand some of their issues and ideas. Great stuff people and we will need more help in the not too distant future. Special thanks to wee Charlie Baker who was in charge of wiping the edges of the sheets of iron minimising the spillage. More on Pavilion progress soon. We also had a very friendly Scotsman staying at Don Baron’s place for a while and he come to exercise classes and in return was a handyman around Kaipaki and fixed the boarding around the courts and a number of other jobs were completed. Also thanks to Don Baron who always cuts the frontage by the courts when he does his own frontage without even having to be asked. The Scoreboard is now virtually completed and awaiting the summer, the outfield will be sprayed and over sown this coming week and with the grass starting to grow again things are happening. 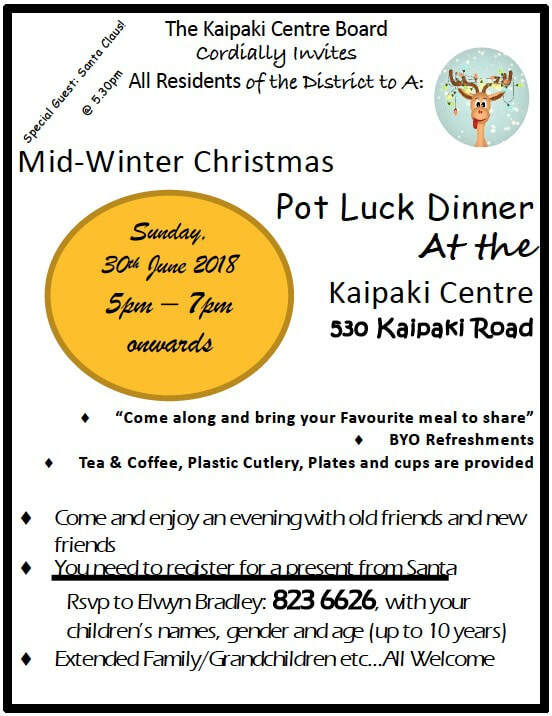 Some of the Kaipaki women are looking at tidying up the Kitchen and taking stock of what we have and what we need. Hope you all have survived the winter, spring is not far away and then cricket and more activity – hopefully tennis can start!”. Increased demand for usage of Kaipaki ensured 530 Kaipaki Rd was again well used. meetings, Lacrosse practice, sponsor activity, 8 Tea Dances for the over 60’s and more. family functions that all seem to enjoy. contact Alison Glover 021 2637979). 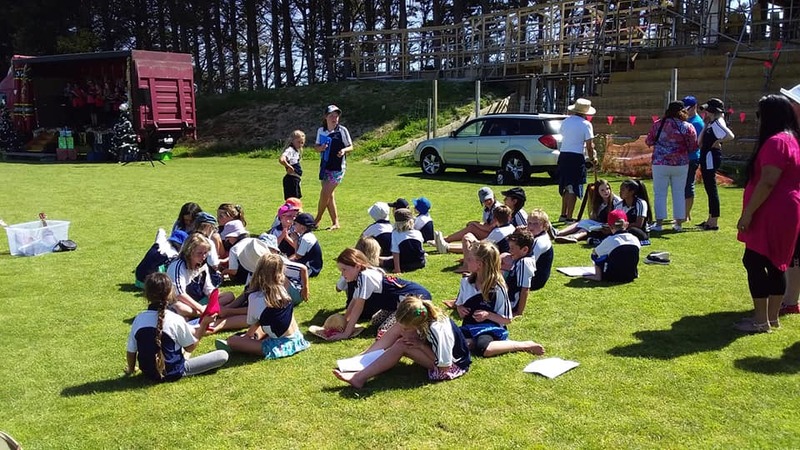 The Otago University Rowers stay brought in $3K. be finished and every facility would be coordinated in appearance. enough people attended to get the work done. complex and will make the Kaipaki Centre even more of a unique facility. The pitch issues are now less complicated but taking a secondary focus to the Pavilion. first competition happening in 2018/19. We look forward to the completion of the Cricket Pavilion and other enjoyable year. On Sunday 1st July we are having a’ Tour of the Pavilion’ from 9 am – bring your lawn mowers, trailers, shovels etc. We will have morning tea and a good chance for all to catch up on where the Pavilion is at? Big thanks to those 50 who turned out this morning– some great work done! Working Bee this coming Sunday 12th at 9 am 12 am. Hope you are well and that someone has control over the weather? We want to finish off the seating project at Kaipaki and to that end we are having a Working Bee this coming Sunday 12th at 9 am 12 am. Just bring spanners and such nuts and bolts tools!! We want two people to bring strimmers to finish off the banks that are looking a little better than before. Grass growing and outfield looking better. Thanks to all those who have attended working bees thus far – some great work done! Can we put this on Facebook so the young ones know about the working bee please? Security measures are likely to be beefed up after thieves targeted the Kaipaki Settlers Hall. 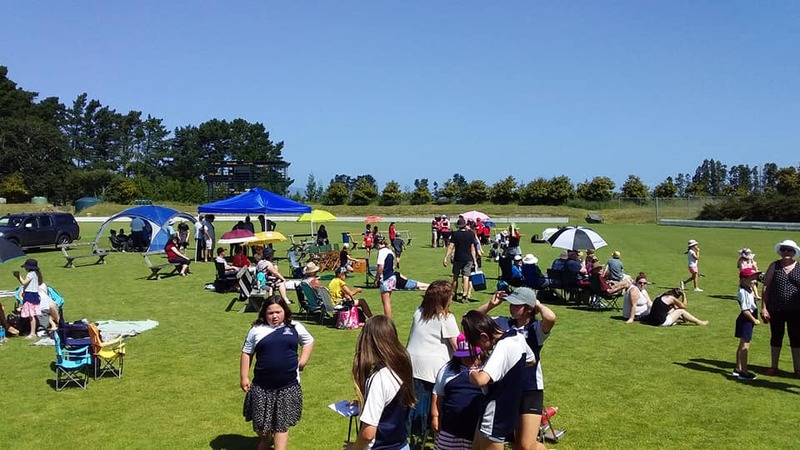 Burglars broke into the hall, also known as the Kaipaki Community Centre, and made off with a television, barbecue, fridge and sports equipment. The hall's association planned to meet to discuss the burglary and what security measures would now be needed. 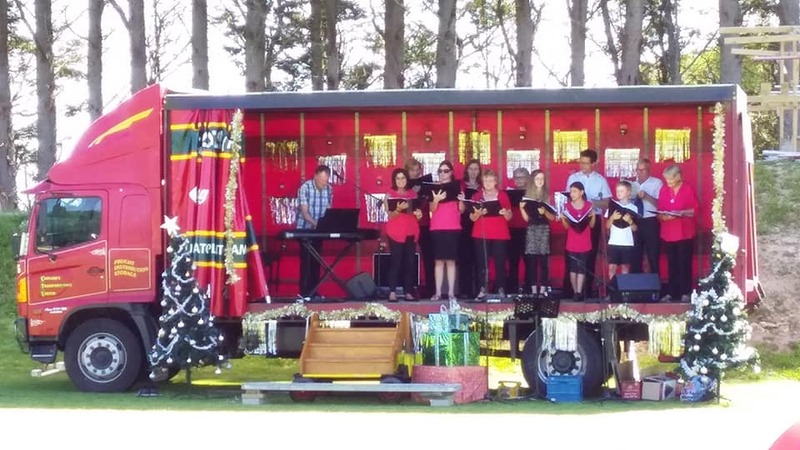 The hall was on Kaipaki Rd, in a rural area between Cambridge and Ohaupo. Association chairman John Parker said people feared the thieves would return. "So the first thing we'll be looking at is a security system of some sort. "Get that set up and then replacing the goods after that, so it's step one and step two really." The hall previously did not have any security measures and Parker had ideas for what the association could install. "I'm sure it'll be an alarm system and a camera system, I think we'll probably invest in both of those. "So we'll do that over the next week or so." It could have been somebody that knows the code on the front door of the old hall. Parker said the association was going over details of the break-in. Police had been notified. "They could have came in, opened the window and made it look as though they came in through the window." Many items had been taken during the burglary, including a barbecue that was recently donated by Bunnings. "It's interesting though when you look at the range of stuff that was taken it's as though they're setting up," Parker said. Parker had left the centre on the morning of Saturday, October 20 and returned to mow the lawns at 1pm the next day. He believed the burglary happened sometime during that weekend. He first noticed the barbecue outside had gone, a shader and a lawn mower. A group then came in on Sunday and had a tea dance, then reported to one of the board members that there had been a burglary inside. It was then on Monday, Parker noticed how many things had gone missing, including a 60-inch television, mini fridge and archery equipment, to name a few. "It's a nuisance isn't it, never mind that's life and you just have to get on with it," Parker said.